Why Are Wheelchair Ramp Rentals Easy To Use"
Our wheelchair accessible rental vans make it simple to transport someone in a wheelchair. With the push of a single button on the remote control the door opens, and the low angle ramp comes out. Simply wheel the chair into the van where it can ride in the middle of the van or up front in the passenger area. The easy to hook up tiedowns will hold the wheelchair in place while going down the road. 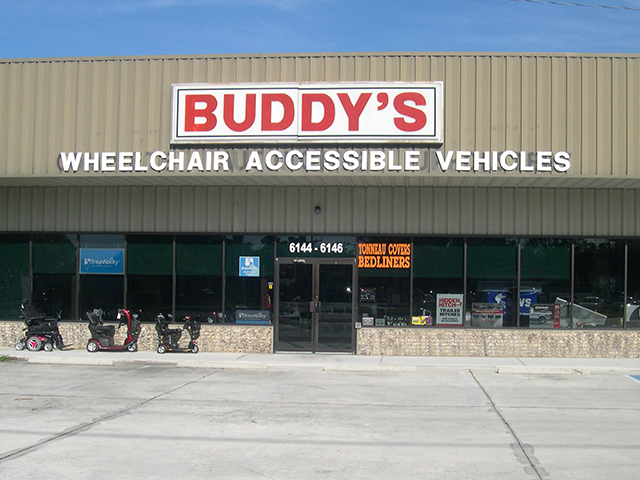 Our vans will work for almost every wheelchair with the exception of some large chairs. Mileage: Anything over the included miles per rental will be charged at $.35 per mile. Delivery Options: Call for details.